There is a presentation in the Supplement to the Journal of Athletic Training entitled Anterior Compartment Syndrome and Tibial Stress Fracture in a Lacrosse Goalie. This is a case study that: 1)underlines the use of injury prevention techniques to help reduce injury potential, and 2)highlights an unique cause of anterior compartment syndrome, which is generally an overuse-type injury. In this case, a collegiate female lacrosse goalie sustained repeated blows to her left tibia with a lacrosse ball. She was repeatedly coaxed by the Athletic Trainer to wear proper shin protection but to no avail. The goalie refused to wear proper shin protection until it was too late and ended up anterior compartment syndrome and a tibial stress fracture of the left lower leg. As a result, she was disqualified from participating in lacrosse in order to allow for proper healing and missed playing time as a result. In the end, a preventable injury ended up costing both the player and the team. Coaches and players need to comply with injury prevention strategies recommended by the athletic trainer. One final comment – as athletic trainers, we need to do our best to find ways to make that decision a no-brainer. Maybe this case study will serve as proof that you can use to help convince those you work with to make better decisions. I am certainly not laying any blame on the athletic trainer – there is an old saying that goes “Those convinced against there will are of the same opinion still” – but for emphasis, let’s try to exhaust every available option outside of brute physical force (sarcasm intended) to drive home the perils of making dumb decisions. Thank you to the authors for sharing this case study with us so that we can use this as a teachable moment for our athletes who may not always be looking at the big picture. What situations have you encountered where someone has gone against your advice and ended up worse off? The weekend before Memorial Day weekend, I helped to cover a soccer tournament. We have a good group of folks that work together and it is fun to work with a group of athletic trainers in the athletic setting. Usually the event is rather – well, uneventful. Not so this last go around. Unfortunately the kids were dropping like flies and there were plenty of weekend ending (and more) injuries – fractured clavicle, probable ACL rupture, two nasty concussions, and more. One of the injuries that occurred on an opposite field from me was a nasty hip injury. We did get confirmation that the player did suffer at minimum an avulsion fracture (my guess is an apophyseal avulsion)- 3rd and 4th hand information is sometimes hard to decipher. I bring that particular injury up because in the most recent edition of the Journal of Sports Health there is an excellent submission speaking on this exact subject. Here is a link to the study that is complete with radiographs and MRI images. So let’s take the rest of post to discuss apophyseal avulsion fractures in youth athletes so that we can be more quick to recognize these injuries. The submission I will look at is entitled Orthopaedic Magnetic Resonance Imaging Challenge: Apophyseal Avulstions at the Pelvis. The particular case that spurred the research on was a 15 year old soccer player presenting with left hip pain and weakness for 4 weeks. Radiographs and MRI revealed regularities at the ASIS. The diagnosis was an apophyseal avulsion of the left ASIS. The authors note that apophyseal injuries of the hip and pelvis account for 10-24% of athletic injuries in children. You guessed it – soccer was one of the primary contributors to that figure. Other injuries with higher incidence are running and ballet. 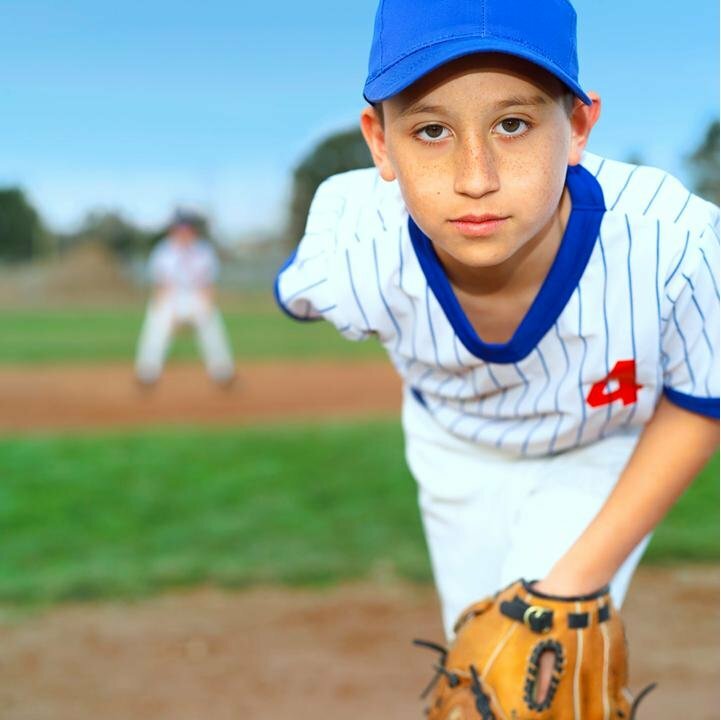 Football, baseball, track, gymnastics and cheerleading can also produce simmilar injuries. When dealing with youth athletes we need to be more cognizant of the bone-tendon-muscle junction. Often times, the weak link in youth is the physis – the myotendinous junction. In adults, the failure point is more commonly in the tendon. So when we see a strain-type injury in youth athletes, we need to be ever cognitive of this dynamic. Mechanism of injury: The most common mechanism is a sudden contraction (eccentric or concentric) during running, jumping, or kicking which causes traction on an unfused apophysis. Other mechanisms can be extreme passive stretching or microtrauma. With an acute injury, the athlete may experience a “pop” and immediate pain. Ecchymosis, swelling, weakness and an altered gait are all signs and symptoms. Often times, individuals may be referred for x-rays. It is important to understand however that if the avulsion is non-displaced or the apophysis is not yet ossified, radiographs may be negative. So, MRI is probably superior in that allows for view of the tendon attached to the avulsed apophysis. If surgery is a further consideration, the authors noted that CT scan is an even better option than MRI. In regards to imaging, x-rays can show an avulsion at the apophysis if it is ossified. If not, radiographic imaging may be inconclusive. So if this is the case and an avulsion is still suspected – MRI is the imaging of choice. As far as treatment considerations, nondisplaced avulsions are usually treated conservatively and the athlete can gradually return to activity after symptoms subside (4-6 weeks for resolution). Displaced avulsion fractures of more than 2cm are considerations for surgery, as are malunited or hypertrophied fragments. The most commonly avulsed apophysis at the hip are the ischial tuberosity, AIIS, and ASIS. Understanding the locations of the apophyses and signs and symptoms to watch for will help you make better decisions for your athletes. The research article has several pictures of diagnostic tests that also give you some additional information as well. It was an excellent piece that certainly any athletic trainers working with athletes should read and brush up on. I highly recommend that you give it a read. Have you had any experience yourself with an apophyseal avulsion with any athletes in your care? Does some of the information in this blog post ring true with your experience? Late in 2009, I purchased Assess and Correct: Breaking Barriers to Unlock Performance by Eric Cressey, Mike Robertson, and Bill Hartman. It has taken me a while to develop a review of this product because I have wanted to go over the information and be able to put it to use a little bit first. First let me say that this is a pretty unique product. Whether intended or not, it appeals to such a wide audience. Who would benefit from owning this product? So if you are an athletic trainer, a personal trainer, a physical therapist, a strength and conditioning coach, or even someone looking to improve upon your own personal deficiencies – you can benefit from adding this resource to your library. The reason that this resource can be utilized by such a wide audience is attributed to the team of experts that created this product to begin with. These three are top notch in their field and widely respected. They each have areas of expertise that blend well together as a unit. This product contains a DVD component and PDF printable document that correlates with the DVDs. There are a few more additional resources that add value to the complete product. The first part of this product is the assessment phase. The assessment phase is critical to do before moving to the corrective progressions. (Now, for the athletic trainer or the physical therapist – this piece may not contain a ton of new information or much in the way of tips regarding execution of assessment and evaluation techniques – however, the assessment techniques point you toward the corrective exercises pertaining to each movement pattern and therein lies the benefit). The video portion of the assessment is pretty straight forward and simply shows the basic assessment technique. The manual does contribute more to the assessment piece and gives some additional worthwhile information. The real gem of this product is the correction phase. Again this is detailed in both the DVD and the workbook. The exercises that correlate with deficiencies really make this product shine. The printed document is a great handy resource that gives you quick reference to proper execution of the corrective exercise techniques. There is plenty of detail in the manual which is great reference source. However, the DVD of corrective exercises really allows the printed material to make more sense. Seeing the exercise properly executed and listening to the subtle yet important coaching tips on the DVD is critical. Probably the greatest asset of this product is the attention to detail in the corrective exercise phase. The authors pay close attention to proper execution of the corrective exercise and give you tips and what to look for to identify improper and proper exercise execution. I speak for myself when I say that sometimes my attention to detail when it comes to exercise instruction is lacking. We can sometimes substitute form for volume. Eric, Mike, and Bill really provide excellent instruction that emphasizes the small yet easily overlooked details. Proper execution is critical and instruction is provided for each exercise – from the simplest to the most difficult exercise progression. I have utilized this product as an additional screening tool and it has helped me to identify deficiencies and develop a plan to help correct those deficiencies. One word of warning – there is a ton of information here, particularly in the corrective exercise section, and you may need to go slow with some of the corrective exercises because there are so many included with this product. Overall, I have been very pleased with this product. 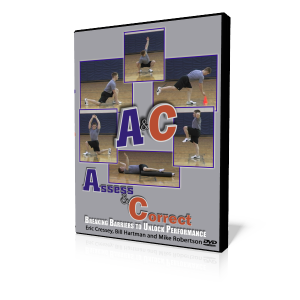 As I continue to implement the information shared on the DVDs and workbook, I will be more efficient and the transition from assessment to corrective exercise. If you are on the fence about whether or not this product will be of benefit to you, I can tell you that I have been pleased with it, particularly the corrective exercise phase, and you will benefit from adding this to your library. Core Exercise Prescription for Failure? Working in the industrial setting, many employees have an interest in preventing low back injury. They have heard that the key to a healthy back is a strong core. So the conscientious employee – wanting to take care of his/her body – sets out on course to strengthen their core. Unfortunately, the exercise choices that they pick to help strengthen their core are poor. Most often, their exercise choices will include crunches or sit-ups. (Or even worse, buy one of those contraptions they see on an infomercial). Most of the time, folks are simply uninformed. They are trying to do the right thing which is great. They remember what exercises they did 5,10, or 20 years ago and start where they left off. It is our job to properly educate and point them in the right direction. 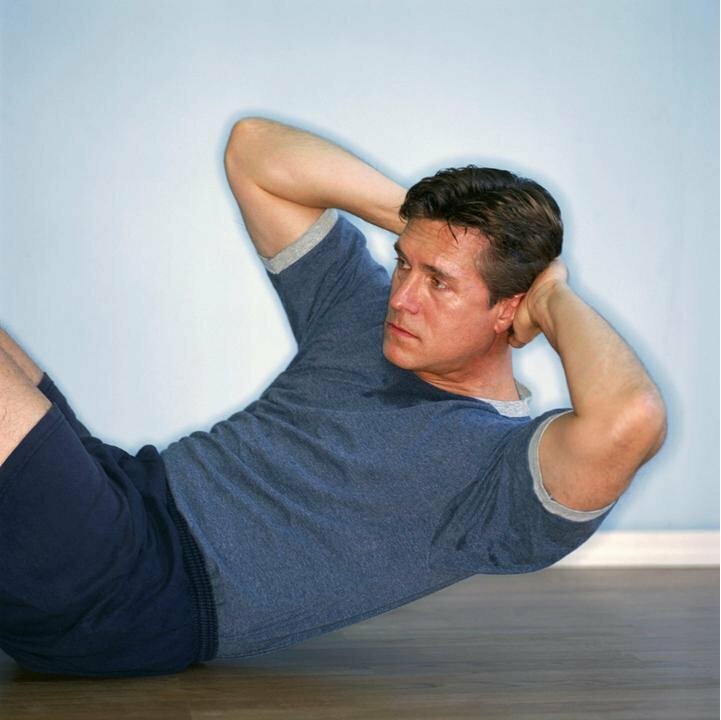 Here is some intriguing information about the dangers of crunches from an article referencing Stuart McGill about the compressive force on the spine generated during a crunch. That is very interesting. NIOSH states that any compressive force of the spine of 3,300 newtons or more is unsafe. And yet, many folks voluntarily subject their spines to the dangerous loads of crunches and sit-ups, many times and often daily. Think about the person you know who does 100 sit-ups before they come to work in the morning. So all in the name of health, this individual has placed great loads upon their spine – most likely thinking they were doing the right thing. Dr. McGill is one of the foremost experts in the world on the low back and if the research shows potential damage from sit-ups or crunches, maybe we should evaluate what exercises we have our athletes and patients doing. Educate and inform ourselves and then embark on sharing this with those we interact with. Are you still having athletes do sit-ups or crunches to improve core strength? Does part of your low back injury rehabilitation include sit-ups or crunches, even partial crunches? When someone comes to you and asks for exercises to help prevent low back injury, are crunches or sit-ups part of your exercise selection? If so, please comment and share your rationale – it would be a great discussion. Foam Rolling and Stretching Analogy: A Ball of Dough? Using the foam roll as method of massage and myofascial release is common in the strength and conditioning field as well as in the fitness and personal training industry. It probably isn’t as common in the athletic training setting, particularly in the injury rehabilitation venue. However, as athletic trainers, w need to become more knowledgable of this modality and how it can effectively help those in our care. Probably, the first step is understanding what foam rolling actually does. A great way to gain understanding of this process is through the use of analogy. I’ve heard Mike Boyle speak on this topic and he addresses it in his book Advances in Functional Training. One of the primary roles of the foam roller is to serve as a self massage and self myofascial release. Foam rolling will help to reduce knots within the muscle and prepare it for effective stretching. Mike uses the analogy of a knot in a band. If you don’t roll and remove the knots beforehand, stretching will simply cause the knot to tighten. Rolling removes the knots and allows one to effectively stetch. This is a great analogy and the premise makes sense to me. However, a colleague questioned this when I shared this analogy with him and he aksed how knots get formed in a muscle to begin with. When you think of a band or a rope, a knot is formed by the strands actually being tied and twisted together. Instead of adhering to each other, a knot actually becomes entangled into each other. Think about your garden hose. 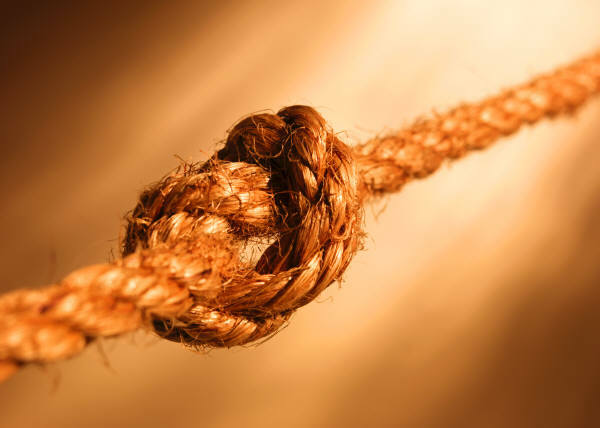 The only way to remove the knot in this instance is to feed one part of the band, rope, or garden hose back through the loops until the the knot is completely unwound. Compressing that knot would not really relieve the knot, it may actually make it tighter. This is not really possible to separate muscle fibers and feed them through each other. So, my colleague’s question caused me to think a little more – while we can’t deny the knots and increased tissue density in these areas, is there another analogy that possibly fits this process better. So, as I was thinking about this – does a “knot” in a muscle as it relates to the relationship between foam rolling and stretching more closely resemble a ball of dough. A ball of dough is made up of fibers and is initially tight, dense and inflexible. Stretching a ball of dough in it’s round state is pretty tough and really won’t do much in the way of lengthening the dough. However, as you roll and knead the dough, it becomes more pliable. Adhesions break down and the dough ball begins to become more accepting of change. 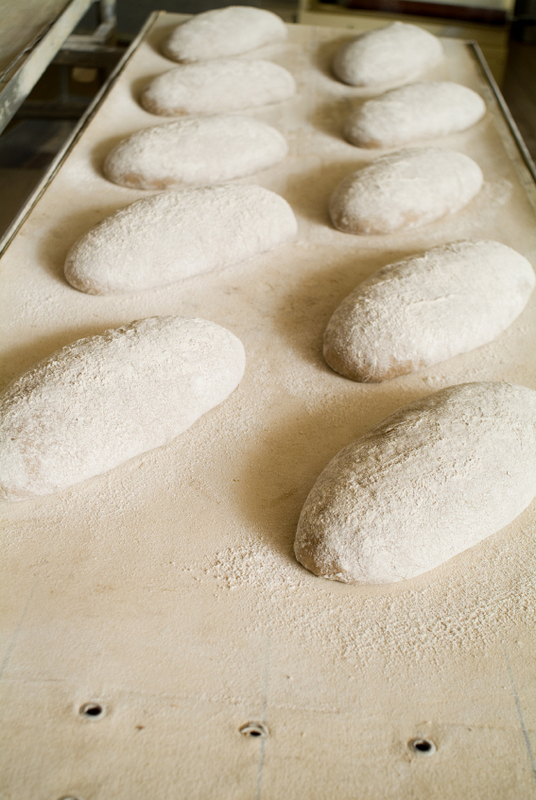 Once the dough becomes less dense and pliable enough, it can now be stretched and lengthened. Rolling, in this instance doesn’t necessarily “remove a knot” in the tissue in the technical sense but it breaks down aherences, restores muscle density and function, and realigns the fibers into a more workable state. Rolling the dough makes the task of stretching or lengthening the dough much more easier to accomplish. Ultimately, the point remains the same – foam rolling improves tissue quality, restore normal tissue density and prepares the body for stretching and activity. This is merely a question of semantics. As we explain this strategy to our athletes and patients, does this analogy drive the point home a little more? This is more of a thinking out loud post. What are your thoughts? Does this analogy work a little better? Do you have another analogy you use altogether? I’m curious to hear your thoughts. Youth Pitch Counts: Do pitch totals tell the whole story? I came across a newspaper article promoting a youth baseball clinic in West Michigan over the weekend. The fact that former Tiger great Jack Morris was going to be there caught my eye but in reading of the article, some quality injury prevention tips jumped out at me. “Do not follow pitch counts just by game, but also by inning, Page said. As a high school umpire myself, a kid throwing 25,35, or 45 pitches in an inning is not necessarily rare. So this injury prevention tip really resonated with me. Pitcher from Team A throws 75 pitches in 5 innings. Pitcher from Team A throws 75 pitches in 3 innings. By looking at the total pitch count, each pitcher has thrown the same amount of pitches. Let’s examine this a little more closely using the formula presented by Andrew Page in the article. The pitcher from Team A threw 75 total pitches and the equivalent of 75 pitches. The Pitcher from Team B threw 75 total pitches and the equivalent of 84 pitches. So if you look at these numbers for the “total work” that was done in the game and then extrapolate them to the revised Little League pitch count rules (applying to a high school aged player), this would dictate an extra day of rest between pitching for the starter of Team B – even though the same number of pitches were thrown in the game. As I wrap up and look at this a little more broadly, we are really looking at work to rest ratios. The more work that is required and the less rest that is given in between “reps” if you will changes things. Throwing more pitches in an inning certainly has the capability to promote increased fatigue in a pitcher. As fatigue sets in and muscles begin to shut down, mechanics change and the opportunity for injury increases. 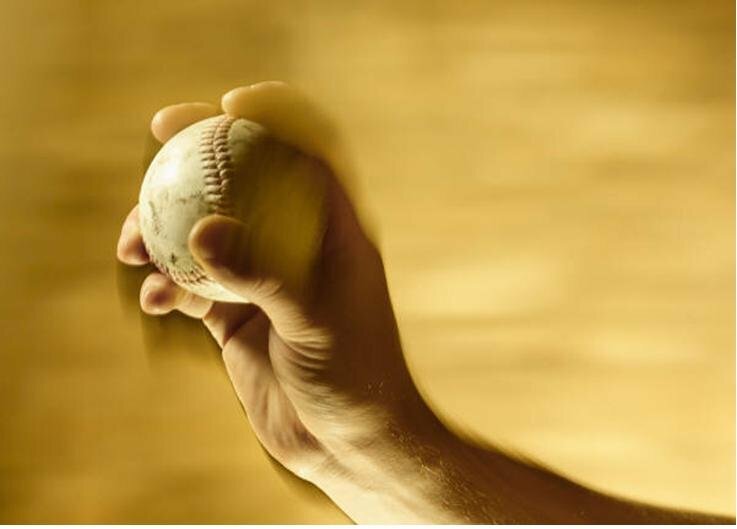 So combining the pitches per inning strategy as well as watching for the visual cues of fatigue appears to be sound advice when dealing with young pitchers. Putting the whole picture together will be more effective in helping our young athletes avoid injury. What are your thoughts? What are some of the studies that discuss pitches per inning? Do you agree or disagree with this premise? Stuart McGill is one of the foremost experts of the spine in the world. He is an advocate of training the spine while neutral and continually explains to all who will listen about the ineffectiveness and dangers of exercises such as the crunch or sit-up. I have read his material and listened to him speak in the past – he is passionate about proper training of the spine and is truly an expert in the field. You may be familiar with all of these exercises but the reason for this post is to encourage you to watch the video and catch all of the “little” tips that he explains. Many times we have a tendency to hear about or see an exercise and then try to reproduce it with our patients or athletes. This is all well and good but we have to make sure we understand all the little nuances and the tips that really elevate an exercise to be the effective exercise it was meant to be. So make sure you take a moment to watch in on Dr. McGill’s expertise as he walks through each of the four exercises and shares the proper execution and variations of them.